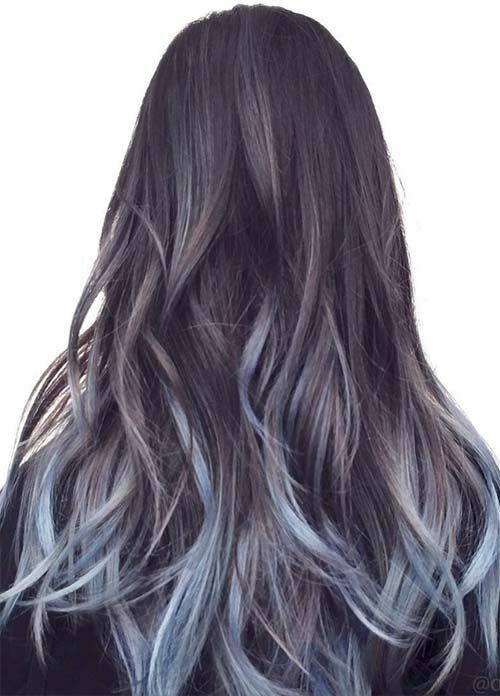 Ombre is a great technique for adding color to your hair that’s easy to grow out. 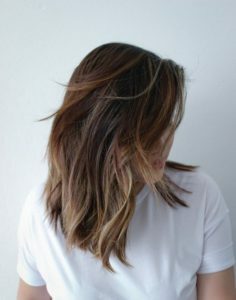 But if you’re after a hairstyle where different colored ends don’t look super bold against your base shade, sombre hair color is a great way to enhance your style. Short for subtle (or soft) ombre, sombre looks usually feature a highlight that’s only a few shades lighter than your hair at the roots, so that the results looks fairly natural. In a salon setting, the roots and ends are often blended together using in-between shades. 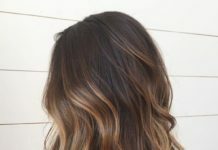 Any ombre or balayage style you’ve seen can be pulled off in a sombre version, and we’ve compiled 35 of our favorite sombre hair ideas to show you the incredible variety that exists within this soft and subtle highlighting technique. If you’re after a sombre hairstyle that looks as delicious as your morning latte, this coffee colored look serves up a creamy mixture of warm browns and blondes. 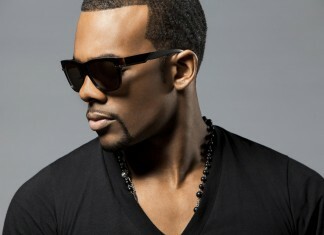 In this barely there sombre style, black hair is gently enhanced with a dark espresso color over the ends of hair. 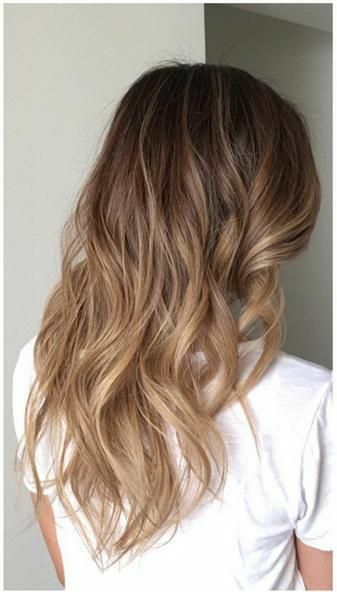 If you’re truly looking for the most subtle in ombre hairstyles, this is a great way to lightly brighten up your dark locks. Ultra long hair gives you tons of room to play with crazy color, but this soft ombre style shows there’s beauty in simplicity. 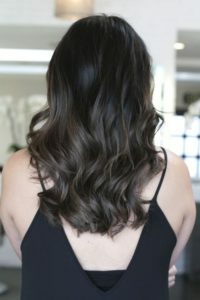 Kim K’s sombre look features quite a big difference in color from roots to tips, but some gentle blending keeps this style from looking too harsh or bold. 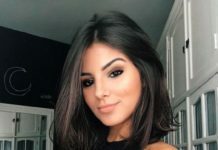 If you’ve got golden skin and darker eyebrows, this sombre style will brighten up your face without messing with your aesthetic. 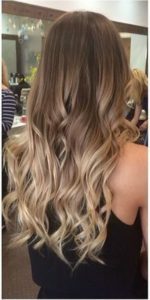 This chestnut brown base color looks gorgeous and warm with a buttery shade of blonde applied to the lower half of hair’s strands. This look features one of the more bold color differences on our sombre list, but the superbly blended shades leave the style looking surprisingly soft and subtle. 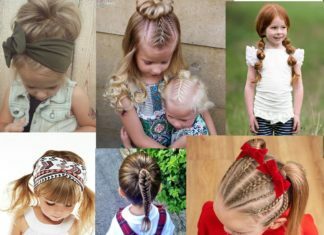 If you’ve got naturally black hair, you might feel like your options are limited to a dark brown sombre. But if you’re open to trying unnatural colors there’s a sea of styles to choose from. 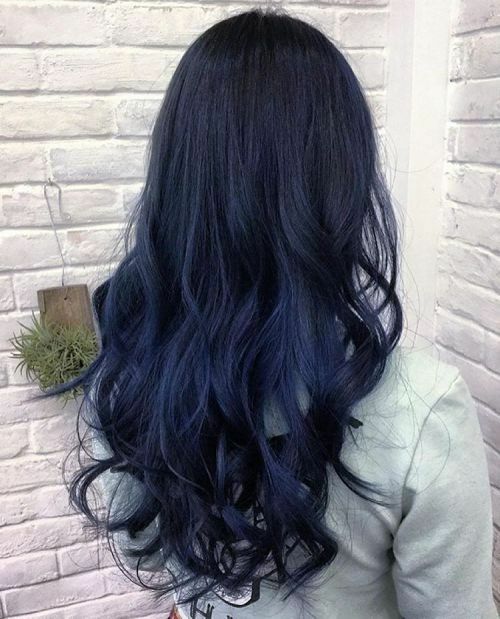 This ultra dark blue color creates a rich, squid ink palette that will look black from a distance but shines brilliantly in the light. 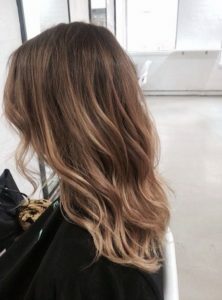 If you want your soft ombre hair color to have maximum effect, try a face framing style where the highlight color begins higher up on the pieces of hair around your face. 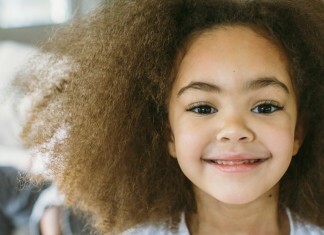 Choose the right color to compliment your skin tone and this sombre technique can bring out golden tones in your skin and eyes. This is a great example of just how natural a sombre style can look, and it truly mimics the way time in the sun can lighten up your hair. Red and blonde are a match made in heaven. 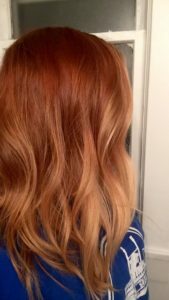 Putting a golden or pale blonde ombre over your red hair creates a nice strawberry blonde sombre style that’s great for summer or anytime you’re looking to punch up your natural red mane. 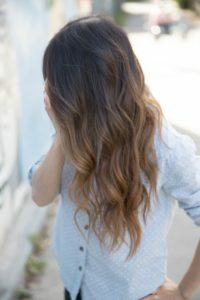 Getting a subtle looking ombre on mid-length or shorter hair can be tricky, since you don’t have as much length to slowly introduce a lighter color or blend multiple shades together. This lob keeps things nice and simple with a warm blonde shade that begins quite low on the strands everywhere except around the face. 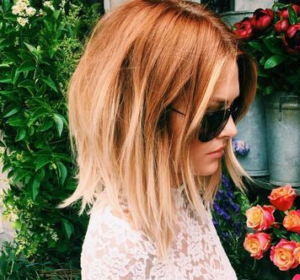 The combination of rich dark auburn roots and a bright copper color at the ends help to make Kate Mara’s blunt bob one of the most luxurious looking sombre styles on our list. 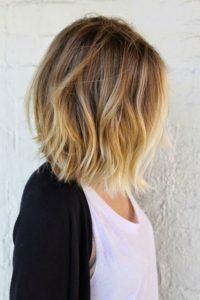 If you’ve been looking for a sign that it’s time to cut your hair above your shoulders, this style should be all the inspiration you need. Is it brown, or is it blonde? Honestly, if it looks this good we don’t care what you call it! 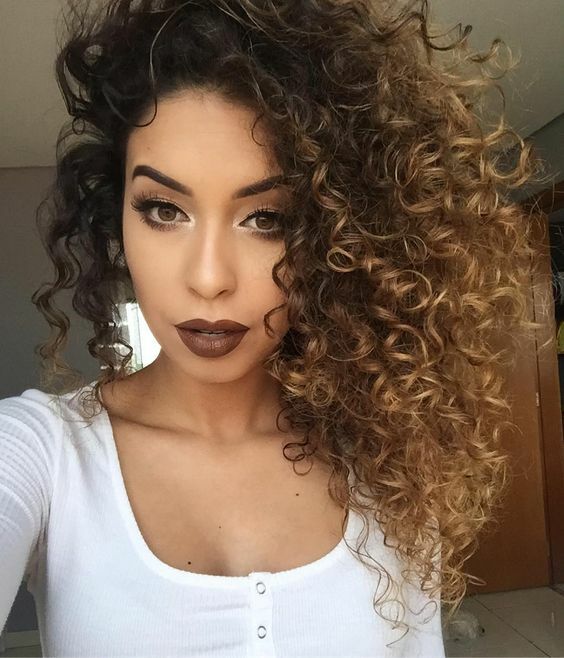 The bronde hair trend continues to grow thanks to its natural ability to flatter a wide range of skin tones. 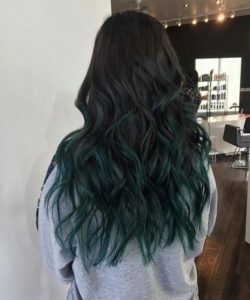 You can get the look with a variety of hair color techniques, but this sombre style hits the perfect mark between flat color and crazier two-toned looks. If you’ve been looking for ways to add color to your curly hair, a sombre style can help to accentuate your texture without subjecting your curls to frequent touch-ups. This sombre style is like a sunny summer day for your hair! 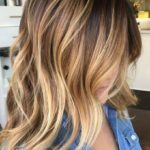 Golden blonde ends do a wonderful job of bringing out the warm tones in your base color, and will make your whole face look brighter. This warm sandy sombre is great for a spring or summer hairstyle, but has enough brown tones that it won’t look out of place in a cooler season. 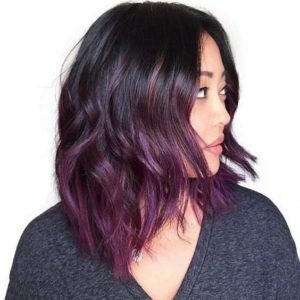 Purple ombre might sound like the farthest thing from a subtle hair color, but this rich shade of amethyst doesn’t look out of place up against natural black hair. Whether you’re a natural blonde or you’ve opted for a chemically lightened base color, going for an even lighter blonde allows you to brighten up your look while keeping it more natural looking than a platinum color from roots to ends. Another gorgeous example of bronde hair, this style features a fairly seamless blend between dark roots and the lighter blonde ends. Curled hair is great for showing off dimensional hair color, but it can help to enhance super straight locks too. Mila’s dark espresso base color gets warmed up with a sombre color that’s just a touch lighter than the hair at the roots. One big benefit of being blonde is that even a pastel color can look soft and subtle when applied to the ends of your hair. 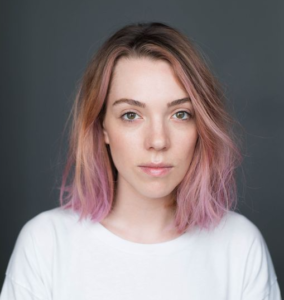 Although it’s not a style anyone would honestly mistake for natural, warm tones in this blonde bob match quite nicely with the dusty pink pastel ends. 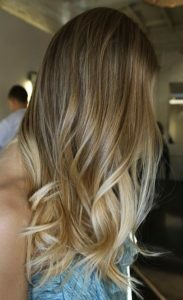 If you want your sombre style to be extra natural looking, try applying a lighter color to only the outside layer of hair. 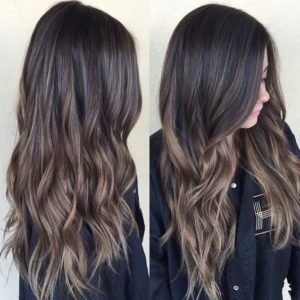 Not only will this save some of your strands from the lightening process, but the lighter hair over a darker underbelly will help to make thin hair appear thicker. If you’re looking for a lighter hairstyle but don’t want something too bright and bubbly, try an ash blonde sombre style. Ashy grey tones in the base color help to make even a color as bright as this denim blue look like a soft highlight that perfectly belongs. It’s amazing how much highlights can change the appearance of natural dirty or dark blonde hair. Concentrated around the face, this sombre style will have extra impact in brightening up your features. 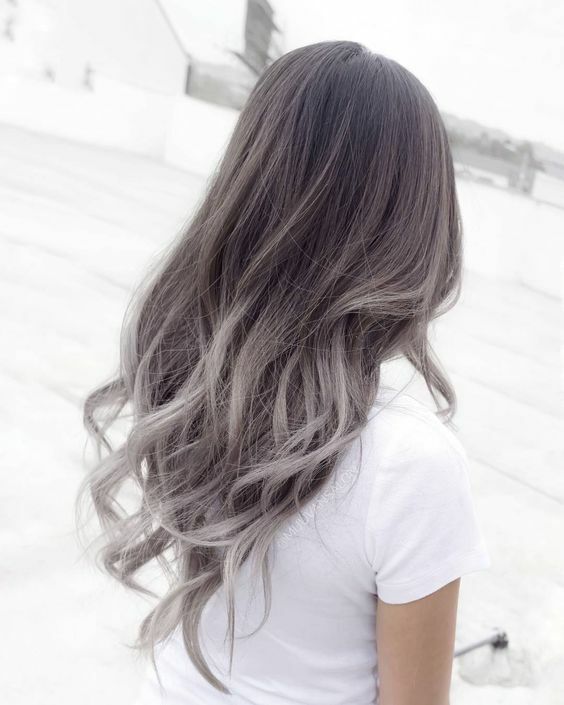 Although this style makes quite the color transition from dark roots to light ends, the whole thing is in tones of dusty grey that make the style look softly antique. 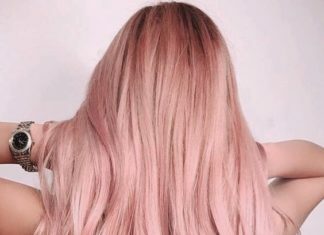 A slightly muted red root and pale blonde ends make a perfect strawberry sombre style. 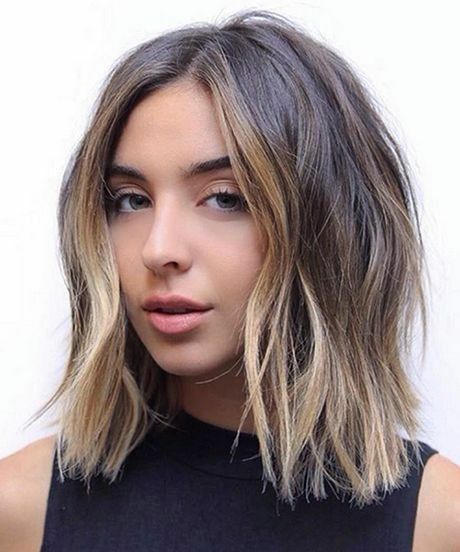 Put a touch of blonde at the ends of your medium brown bob to add interest to the style without looking too abrupt or loud. 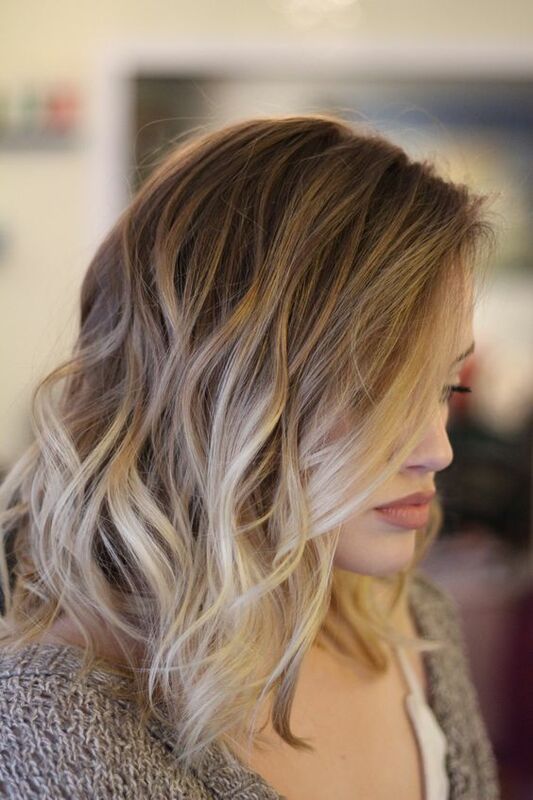 This pale shade of champagne lavender adds a nice touch of color to your light blonde hair. 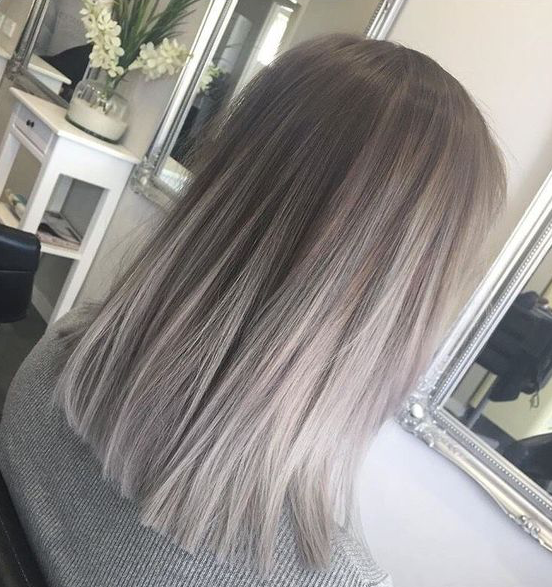 An exceptional blending technique helps to make the difference between these roots and ends look like a perfectly natural progression. 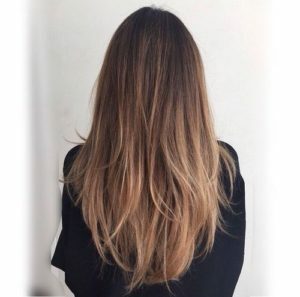 Light coppery ginger hair looks surprisingly natural with blonde sombre highlights, and can help give redheads a brand new look that won’t wash out fairer complexions. 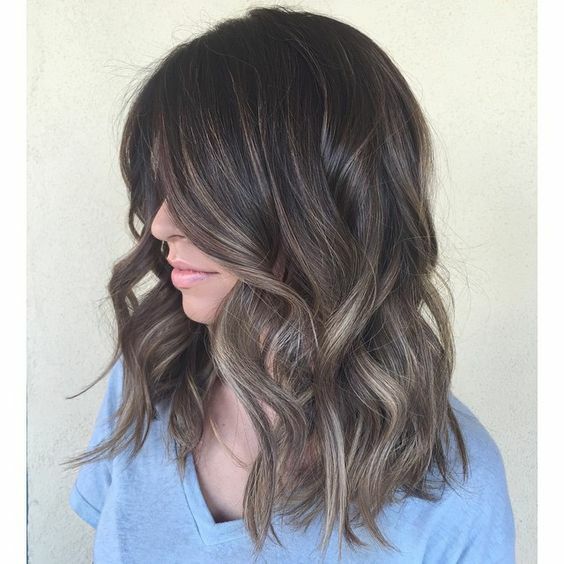 Looking to warm up your medium brown hair without going for blonde highlights? 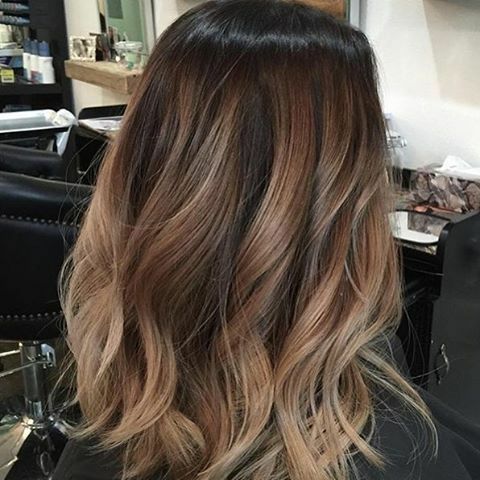 A slightly lighter shade of warm brown is the perfect accompaniment to your natural base color. 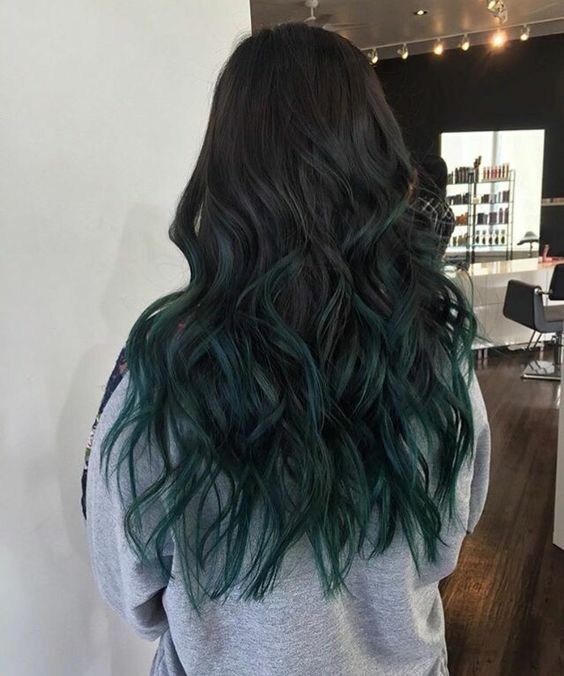 In a sombre style that’s fit for a mermaid, this dark base color is dressed up with a deep shade of emerald green. If your brunette base color is full of cool tones, an ashy grey sombre style offers up a chic way to try out the grey hair trend. Ready to give your lob haircut a chic color upgrade? 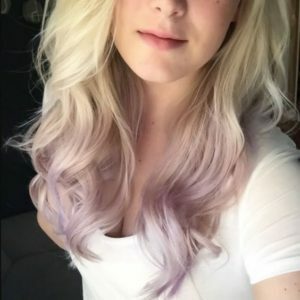 This face framing sombre style features fairly thick ribbons of blonde around the face, but highlights in the rest of the style are confined to the lower third of the strands length. 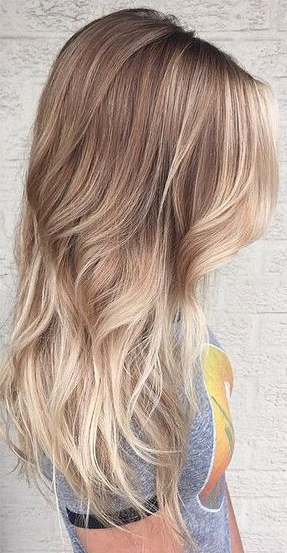 If you love platinum hair but don’t want to commit to the upkeep of going fully ultra-blonde from roots to tips, a platinum sombre style can give you gorgeous color that’s easy to grow out.